Technology has transformed the way businesses handle travel and expense management by streamlining data, policies, and reports in an easily accessible location, as opposed to sifting through mountains of receipts and paperwork to reconcile expenses. The use of interactive dashboards and reports creates business travel transparency, giving you a real-time look at who’s spending money on what. 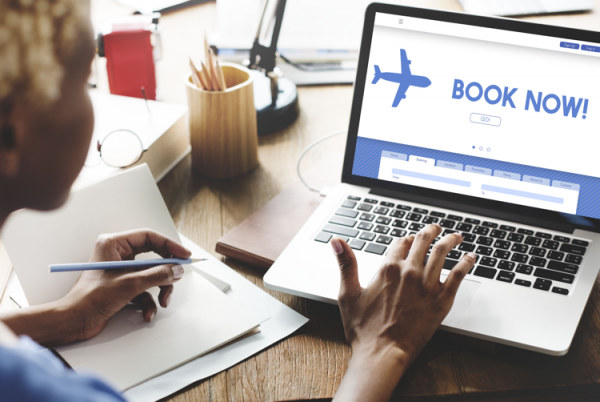 Take a look at how mobile and web-based applications are changing the way businesses are booking travel, processing expense claims, and reducing travel costs. Mobile apps allow employees to take photos of receipts and submit expense reports on-the-go. Expense entries are itemized and categorized, allowing managers to review expense reports in real time, which reduces the time spent filing reimbursement paperwork. Budgets are managed by comparing expected costs to submitted expense reports, allowing you to easily approve, reject, or modify employee business spend requests. Once an expense report has been approved, mobile apps simplify reimbursement by withdrawing the correct amount from the business’s designated bank account and transferring funds into the employee’s bank account. Gone are the days of spreadsheets and stacks of receipts. Today, technology allows for expense reporting to be automated and paperless, saving businesses time and ensuring expense reports are filed accurately. In addition to automatically capturing data from hotels, airlines, and vehicle rental companies, employees traveling for business can upload photos of receipts and credit card charges to a secure mobile app, which will match the charges to the appropriate expense report. Plus, if your business travels take you and your employees across the globe, mobile technologies simplify expense management by automatically calculating currency exchange rates for international trips. Reconciling paper receipts created an opportunity for expenses to be missed, lost, or incorrectly reported, but technology integrates travel, expense, invoices, ERP, and credit card data into a single, comprehensive view of business travel spending. Interactive dashboards allow you to quickly access what you need by summarizing multiple reports and KPIs into a comprehensive overview of business travel expenses. You can even create custom reports that fit your needs, such as tracking spending patterns and buying behavior. Intelligent data and tools allow you to make decisions and control spending before it even happens. Travel spending reports are streamlined into one system and automatically created, allowing you to manage budgets and negotiate better discounts on future business travel. If your employees travel frequently for business, one of your best bets for travel and expense management is working with a corporate travel agency. Teplis saves your company time and money with experienced agents, advanced travel technology, and the lowest fares in the market. Contact us to see how we can revolutionize your business travel services.